Cold Steel is a maker of fixed blade knives and folding knives. Founded in 1980, they are constantly dedicated to making the strongest and sharpest knives in the world. Their unique designs and quality craftsmanship combine to give you a knife worth buying. I am impressed by their Bowie fixed blade knives. Each bowie knife has an elegance about them that at first glance masks the strength and sharpness of the blade. I encourage you to watch the videos. They demonstrate the versatility of each knife. The Laredo Bowie is an all around great knife. It has a 10.5 inch blade for a range of cutting chores. It also features a 4.5 inch clip point for back cuts in defense as well as many other conventional uses. 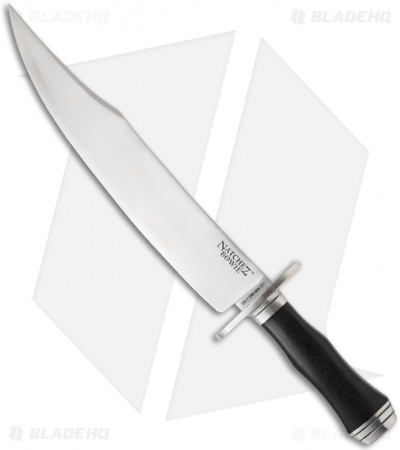 The handle is made of micarta and designed to fit the hand like a glove. The leather sheath has a brass belt peg to slide under your belt. Great for hunting, defense, camping and several other uses. Specifications: Overall Length: 17.125″ Blade Length: 11.75″ Blade Thickness: 8mm Blade Steel: VG-1 San Mai III Handle Length: 5.375″ Weight: 19.9 oz. The Natchez is an awesome powerful cutting tool. 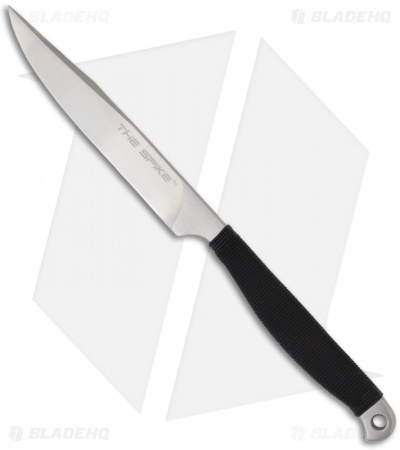 It has an 11.75 inch blade perfect for any large tasks that lie ahead. Comes with a leather sheath with a nickle-silver belt peg for easy carry. It has a double quillon guard, bolster and pommel made of highly polished 300 series stainless steel. A beautiful knife with great power. Specifications: Overall Length: 8″ Blade Length: 4″ Blade Thickness: 7/32″ Handle Material: 4″ Cord Wrapped Blade Steel: 420 Sub Zero Quenched Weight: 2.6 oz. The Spike is a bowie knife that you can actually wear around your neck on a chain or on your gear. It is a featherweight knife that comes with awesome cutting power. Great for defense. This knife is easy to conceal due to its size.